Last May, I posted here about the hike from the end of Highway 270 down to the beach at Pololū and up on to the ridge on the other side. There, a bench awaits the hardy hiker, as well as wonderful views along the coast and into Honokane Nui Valley. I’m happy to report that the bench, which was in bad shape last time I was there, has been replaced by one with a plastic frame. While this might be aesthetically less pleasing, it should last a good deal longer. I also mentioned that not far beyond this point, the trail into Honokane Nui Valley got wiped out by a landslide in the earthquake of 2006. Now, instead of switch-backing down to the valley floor, the trail goes straight down. 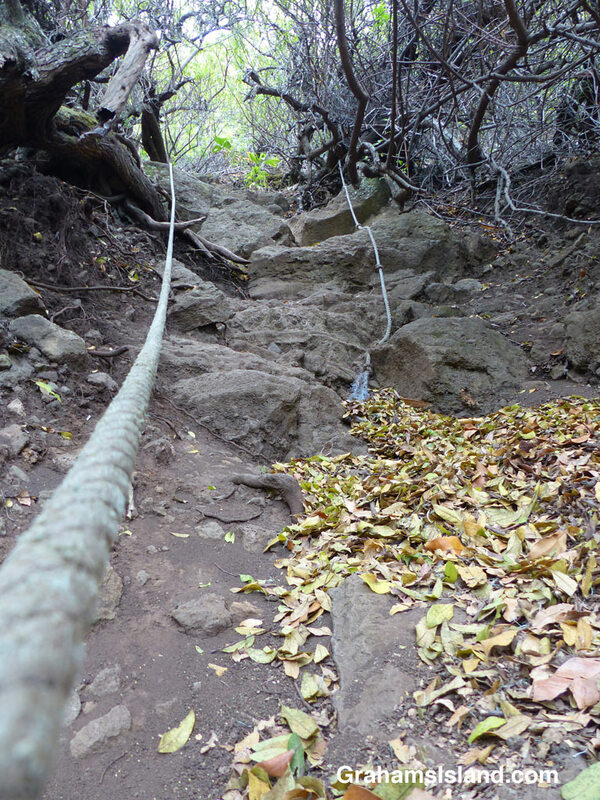 The precipitous drop is made passable by a series of ropes, to hang on to on the way down, and to haul on on the way up. It’s a great workout though not necessarily the safest one around. If a rope gives way, it could be a long and nasty fall. Let the user beware. 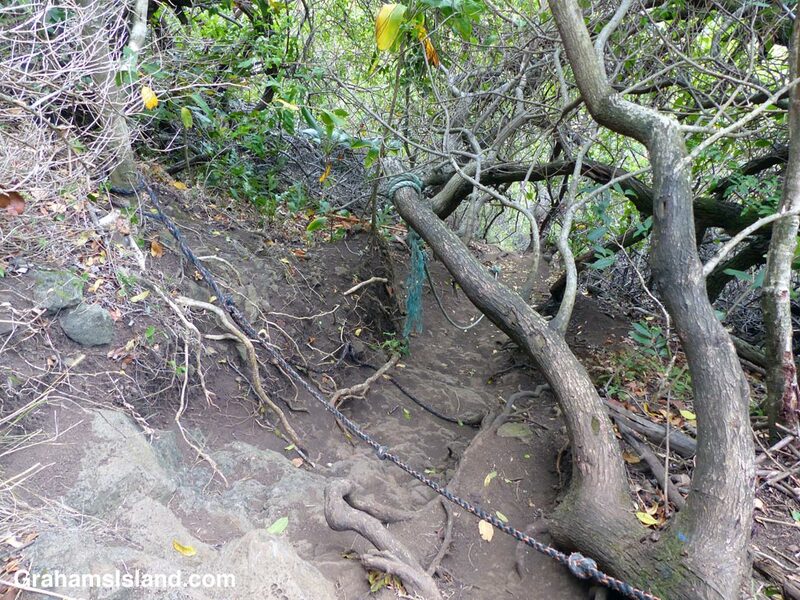 The top photo shows what the entry into this section of trail looks like. This part is steep, then it drops off out of view. To the left, is a steeper section with two ropes to hang on to. For more information about the Pololū hike, go to bigislandhikes.com/pololu-valley/.